Ratcliffes & Nagtzaam’s Own & Loans now available! TICKETS: The Go Goodwin’s Manchester Storm are back in action this SATURDAY 12th November, as we take on the Braehead Clan, here at the Storm Shelter. Face off is at 7pm, and tickets can be ordered online or by calling the box office on 0161 926 8782, or in person at the box office. 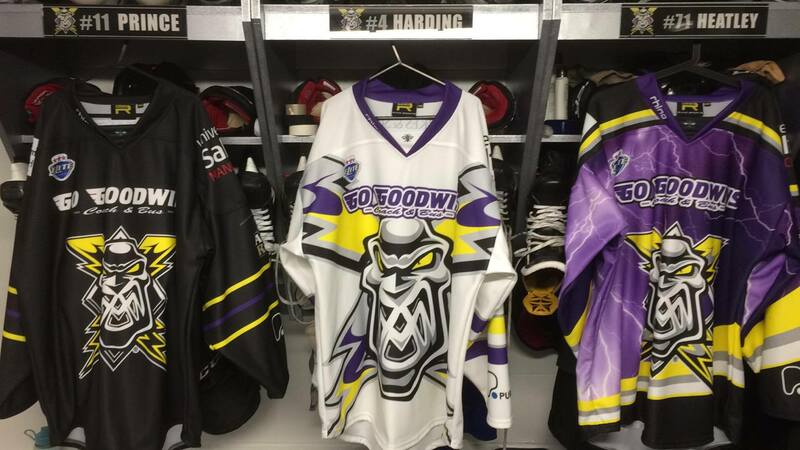 Your Go Goodwin Manchester Storm are delighted to announce that you are now able to Own & Loan Tom Ratcliffe & new signing Nardo Nagtzaam’s jerseys. Priced at £150 for their Home & Away jerseys, and £100 for the warm-ups jerseys, this is a great way for someone to help support the club & the players you love, and get a game worn jersey with your name on it in return! We’re also delighted to announce that Phil Spanswicks away league jersey is also £150 now. To secure your own & loan jersey please email GM, Neil Russell, on [email protected] by 5pm on Sunday, 13th November 2016.